Join our SILVER STARS as they sing, dance and act! 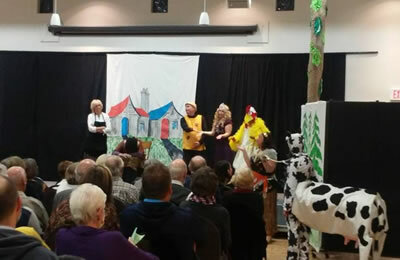 Our Drama Group allows seniors to enjoy and express themselves actively, to discover the importance of participating in a group setting, to improve memory, and to show leadership and co-operation with others through dramatics. This group is open to all members of the ASA and we have many exciting roles available such as singing, acting and assisting where necessary. We are over 40 members strong and participate in musicals, drama, variety shows, etc. each year. The Drama Club was initiated in 2007 and we welcome new members at any time of the year. If you are interested, please contact the Director, Paul Wells at 905-727-4917 or e-mail pwellsie1@gmail.com.